Andrew Marshall, a Pentagon strategist who helped shape American military thinking on the Soviet Union, China and other global competitors for more than four decades, died on Tuesday in Alexandria, Va. He was 97. His death was confirmed by Jaymie Durnan, his executor. Mr. Marshall, as director of the Office of Net Assessment, was the secretive futurist of the Pentagon, a long-range thinker who both prodded and inspired secretaries of defense and high-level policymakers. Virtually unknown among the wider public, he came to be revered inside the Defense Department as a mysterious Yoda-like figure who embodied an exceptionally long institutional memory. In the early 2000s, at a time when the Pentagon was focused on counterinsurgency and wars in Afghanistan and Iraq, Mr. Marshall urged officials to focus on the challenge of China — a view that many considered outdated. But today, national security officials are increasingly adopting Mr. Marshall’s view of China as a potential strategic adversary, an idea now at the heart of national defense strategy. Through his many hires and generous Pentagon grants, estimated to total more than $400 million over four decades, Mr. Marshall trained a coterie of experts and strategists in Washington and beyond. One veteran of the office, Air Force Gen. Paul Selva, is now the vice chairman of the Joint Chiefs of Staff. Another, Robert O. Work, was the deputy secretary of defense from 2014 to 2017. The exact nature of Mr. Marshall’s office was poorly understood. But he cultivated thinking that looked beyond the nation’s immediate problems and sought to press military leaders to approach long-term challenges differently. Mr. Marshall’s career as a strategic thinker began in 1949 at the RAND Corporation, where his theory of competitive strategies took root. Borrowing from business school theories of how corporations compete against each other, Mr. Marshall argued that nations are also in strategic competition with one another. “His favorite example was if you can pit your strengths against someone else’s weakness and get them to respond in a way that makes them weaker and weaker, you can put them out of business without ever fighting,” said Henry Sokolski, a strategist who worked with Mr. Marshall. Recruited by Henry A. Kissinger, President Richard M. Nixon’s national security adviser, Mr. Marshall joined the National Security Council as an analyst in 1972. He formed the Office of Net Assessment the next year, and began studying Soviet military strength. He and the strategists he brought into the office came to believe that the Central Intelligence Agency had erred in its estimates of military spending by the Soviet Union and of the strength of the Soviet economy. He believed that Moscow was devoting a far greater percentage of economic output to the military than the C.I.A. had thought, and that therefore it would be unable to keep pace with the American economy. The Soviet collapse in 1991 proved him right. “He had early insight into the economic troubles the Soviet Union was having, and helped develop strategies to exacerbate those problems and help bring about the demise of the Soviet Union,” said Andrew May, a strategist at the office and a collaborator with Mr. Marshall for decades. Andrew Walter Marshall was born on Aug. 13, 1921, in Detroit to John and Katherine Marshall. He enrolled at Wayne State University in Detroit but left during World War II. Medically disqualified from serving in the military during the war, he instead went to work in an aircraft factory in Detroit. After the war he attended the University of Chicago, earning bachelor’s and master’s degrees in economics. He abandoned his Ph.D. studies to work at RAND. Mr. Marshall married Mary Katherine Speer, a fellow RAND employee, in 1953. She died in 2004. He later married Ann Wheeler Smith, who died in 2017. No immediate family members survive. Not all policymakers were enamored with the long-range focus of Mr. Marshall’s Office of Net Assessment. Critics said it had missed big trends like cyberwarfare and had wrongly ignored the kind of terrorism threats that the United States faced early in the 21st century. Mr. Marshall’s defenders point out that the pathbreaking work he and his disciples did on military modernization had formed the pathway for Defense Secretary Donald H. Rumsfeld’s program to transform the military during George W. Bush’s administration, emphasizing lighter and nimbler forces that would form the backbone of American military power during the Obama administration. 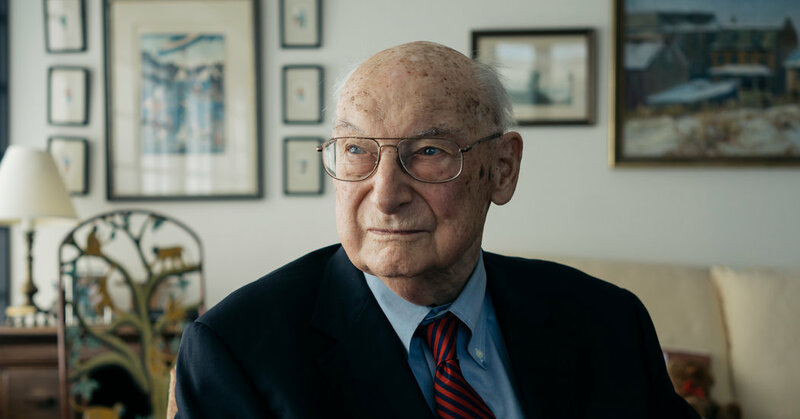 At the heart of Mr. Marshall’s work were highly classified reports called net assessments, about 24 of which were created from 1973 to 2015, when he retired several years into his 90s. Mr. Marshall kept the distribution of his assessments extremely limited. Few people have read more than one or two of them. Even secretaries of defense were not allowed to keep copies. The best of the assessments, according to people who have read them, compared Russian and Chinese strategies against American war plans, finding the weaknesses of the Pentagon’s approach and pushing for improvements. He urged the Pentagon to develop not single war plans but ones that would cover myriad scenarios. Mr. Marshall began focusing on China in the mid-1990s. He was the first Pentagon official to talk about an emerging great power competition with Beijing, an idea now embraced by Pentagon leadership. In 2009, Robert M. Gates, the defense secretary at the time, asked Mr. Marshall to write a classified strategy on China with Gen. Jim Mattis, the future defense secretary. Mr. Marshall believed that American military planners had little understanding of what Chinese regional or global ambitions were. Deterring conflict in the future would be impossible if strategists were blind to the competition, he maintained. The study by Mr. Marshall and General Mattis helped speed the development of new undersea technologies, pushed Mr. Gates to make the B-21 bomber a priority and changed how the Pentagon conducted strategic war games, according to former officials. Hollywood Had Questions. Apple Didn’t Answer Them. Medicinal cannabis: Why has it taken so long to get to patients?